On this page you can find background information about our products and answers to frequently asked questions. We try keep this page as complete as possible. However, if you have suggestions regarding this Knowledge Base or about missing information, please send us a message via our contact form. Thanks in advance for your feedback. All the prices on this website are based on the current prices for material and the production fees. Therefore we can only give you a thoroughly estimate of the products prices. Make sure to always ask a quotation for the latest price. Our prices do not include freight or onsite installment, which if you wish will be added when you place your order, based on the items total weight and your ZIP or postal code. Some products we offer are custom munufactured in Asia and will have to be imported. Most of the orders have a delivery time of 6 to 8 weeks from the date the order was placed. Of course we will keep in touch with you to keep you informed of the status of your order. Currently we deliver our products to all countries in the European Union. You just became the proud owner of a wonderful Oriental pavilion but what is the next step? Who is going to put the building together? Ofcourse you can choose to do this job by yourself. But, experience has prooved that most people prefer to hire builder to do the job for them. Yokoso Japanese Gardens has a team of very skilled builders and constructors ready to start. Because the price for installation of Yokoso Japanese Gardens buildings and pavilions is very dependant on the type of building and the address of the building site, Yokoso Japanese Gardens always offers a seperate quotation. Foundation, electricity, water and drainage are not standard covered in this quotation. The transportation of the goods you purchased, doesn't have to be done by the customer. Yokoso Japanese Gardens would like to take this task off your hands. Because the price of transportation is highly dependent on the weight and volume of the order and the delivery address. Yokoso Japanese Gardens always offers a separate quotation. Smaller goods can of course be transported by yourself but an Oriental pavilion or a 1000 kg granite Japanese lantern are better let over to Yokoso Japanese Gardens. List of Japanese era names is the result of a periodization system which was established by Emperor Kōtoku in 645. The system of Japanese era names was irregular until the beginning of the 8th century. After 701, sequential era names developed without interruption across a span of centuries. Most of our antique Japanese ornaments, stone lanterns, tsukubai and other decoration could be dated in one of the following periods. For some items however it is very difficult to date them exactly. 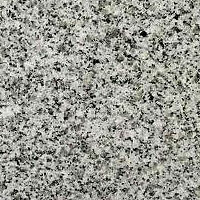 Granite is a common and widely occurring type of intrusive, felsic, igneous rock. 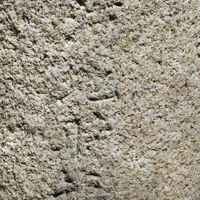 Granites usually have a medium to coarse grained texture. Occasionally some individual crystals are larger than the groundmass in which case the texture is known as porphyritic. Granites can be pink to gray in color, depending on their chemistry and mineralogy. 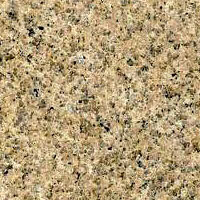 By definition, granite has a color index (i.e. the percentage of the rock made up of dark minerals) of less than 25%. Outcrops of granite tend to form tors, and rounded massifs. 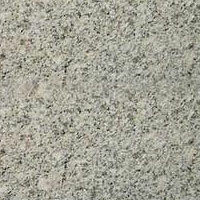 Granite is also used in Japanese garden statues, Japanese granite lanterns and garden decoration. Below is a list of available colors and numbers. 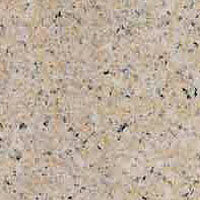 Japanese granite is much softer and less heavy then granite from China. Japanese granite has a much more open grain. This helps the aging of the material. 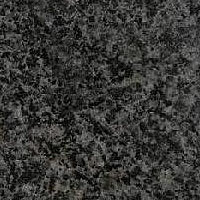 In general it takes the granite a few years to develop a wonderful patin that gives the granite its wonderful qualities. 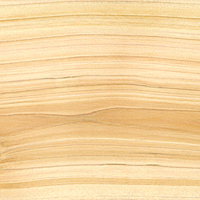 Oregon Pine is one of the world's best timber producers and yields more timber than any other tree in North America. 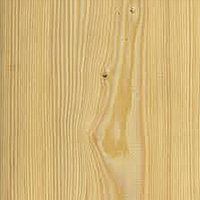 The wood is used for dimensional lumber, timbers, pilings, and plywood. Creosote treated pilings and decking are used in marine structures. The wood is also made into railroad ties, mine timbers, house logs, posts and poles, fencing, flooring, pulp, and furniture. Oregon Pine is used extensively in landscaping. It is planted as a specimen tree or in mass screenings. Merbau is a species of flowering tree in the pea family, Fabaceae, that is native to the Indo-Pacific. It ranges from Tanzania and Madagascar east through India and Queensland, Australia to the Pacific island of Samoa. It grows to around 50 meters (160 feet) tall with a highly buttressed trunk. It inhabits mangrove swamps. The tree's timber, called merbau or kwila, is a very durable and termite-resistant wood, making it a highly valued material for flooring and other uses. 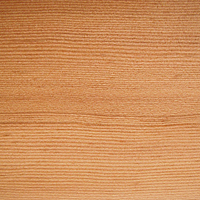 Merbau can contain a "gold" fleck that runs through the grain, considered to be attractive by some. 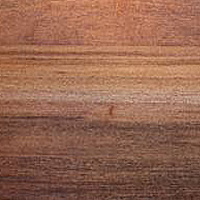 The wood is used for flooring in U.S. and European markets where it is commonly sold under different names. Eastern Red-cedar, Red Cedar, Eastern Juniper, Red Juniper, Pencil Cedar is a species of juniper native to eastern North America from southeastern Canada to the Gulf of Mexico and east of the Great Plains. Further west it is replaced by the related Juniperus scopulorum (Rocky Mountain Juniper) and to the southwest by Juniperus ashei (Ashe Juniper). The fine-grained, soft brittle pinkish- to brownish-red heartwood is fragrant, very light and very durable, even in contact with soil. Because of its rot resistance, the wood is used for fence posts. 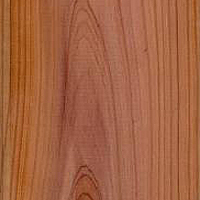 The aromatic wood is avoided by moths, so it is in demand as lining for clothes chests and closets, often referred to as cedar closets and cedar chests. The Siberian Larch or Russian Larch (Larix sibirica) is a frost-hardy tree native to western Russia, from close to the Finnish border east to the Yenisei valley in central Siberia, where it hybridises with the Dahurian Larch L. gmelinii of eastern Siberia; the hybrid is known as Larix. It is a medium-size to large deciduous coniferous tree reaching 20-50 m tall, with a trunk up to 1 m diameter. The crown is conic when young, becoming broad with age; the main branches are level to upswept, with the side branches often pendulous. Because of its rot resistance, larch wood is especially valuable for posts, poles, railroad tie sleepers, and mine props. Hinoki is a slow-growing tree which grows to 35 m tall with a trunk up to 1 m in diameter. The bark is dark red-brown. It is grown for its very high quality timber in Japan, where it is used as a material for building palaces, temples, shrines, traditional noh theatres, baths, table tennis blades and masu. The wood is lemon-scented, light pinkish-brown, with a rich, straight grain, and is highly rot-resistant. For example, Horyuji Temple and Osaka Castle are built from Hinoki wood. 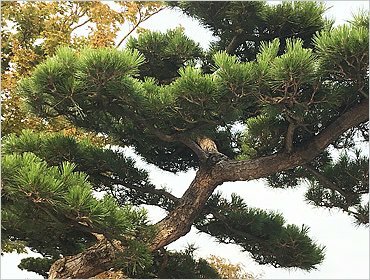 The hinoki grown in Kiso, used for building Ise Shrine, are called Go-Shin-boku "Tree where god stayed". A medium-sized deciduous tree reaching 60 feet tall (18m), and exceptionally to 130 feet (40m) with a trunk up to 32 inches diameter (0.8m). The bark is white, commonly brightly so, flaking in fine horizontal strips, and often with small black marks and scars. The grain of white birch plywood shows a lot of variety. It ranges from very plain, inconspicuous growth to very elegant curly birch. 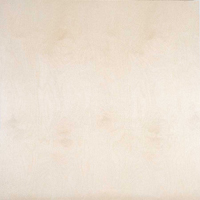 Well-seasoned White Birch is usally quite strong, and won't warp, split, twist, or swell. Its very hard surface helps the wood withstand typical abuse from high traffic areas without noticeable effects. 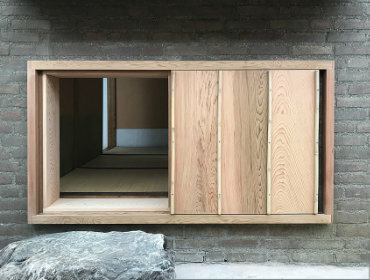 Yokoso Japanese Gardens uses white birch plywood for the finishing of the wall panels of the pavilions. Natural wood will greatly determine the strong natural character of the building. The various wood types are treated in different ways so that the elements and insects like termites, beetle and woodworm will have no influence on the construction. Over time, however, a natural discoloration may occur. The wood will eventually turn grey which in no way will affect the quality of the wood. If you want to avoid this aging please be sure to treat the wood with a natural oil on regular basis. Yokoso Japanese Gardens builds country houses, garden houses and pavilions that will last for ages and will gain beauty over the years. 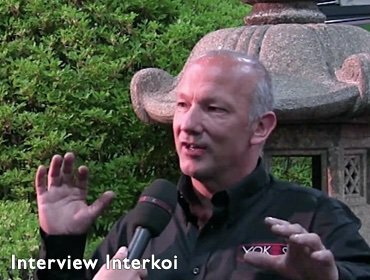 Yokoso is partner of Woca Denmark that offers high-quality products that protect, preserve and enhance the beauty of exterior wood whilst stimulating the wood and ensuring long-lasting durability.